Harman and Navroop Indian Wedding was filled with a lot of laughter, dancing, smoke bombs and even crying. But it was definitely a week that we enjoyed capturing amazing footage from this unforgettable Indian Wedding. To wrap up the many days of celebrations, we created this Same Day Edit that we premiered on their wedding reception. The most humbling and inspiring moment is watching the couple and guests enjoy the timeless memories we captured just moments before. Seeing the endless smiles, and sometimes even sweet tears, from the family members, reminds me why we do what we do as wedding cinematographers. Both the bride and groom were beaming as they watched the film we put together. Enjoy Harman and Navroop’s Indian Wedding Same Day Edit. As always, we love being challenged on weddings. For this wedding, on top of trying to include the Grand Entrance and the First Dance into their Same Day Edit, we wanted to have an Instagram video posted at the exact same time when the video finishes playing. That means I have to edit two different videos during the small editing window that we have. Surprisingly, the time that I had to edit both videos was cut short by a whole 40 minutes! That gave me a slight panic attack as I was only exporting the Same Day Edit video when I heard in our communication devices that the couple is getting ready to watch the Same Day Edit. I was shocked, but luckily the video was only 3 minutes away from being fully ready to play on the big screens. So I grabbed my laptop and literarily ran to the DJ booth to plug everything in and press play. While the Same Day Edit video was playing, I ran to my editing room in the back of the reception hall and continued editing the 1 minute Instagram teaser video. I posted the Instagram video about 5 minutes after the Same Day Edit finished playing (you can view the Instagram Video here). It was a hectic and crazy 30 minutes for all our team, but we pulled off something that I have never done before. Not only did we edit an epic Same Day Edit that included the First Dance (that happened only 15 or so minutes before), but we also had an Instagram video up for the rest of the world and the couple to enjoy even during the reception. You might wonder why the title of this post includes “smoke bombs.” Well, the couple really wanted smoke bombs at their wedding and we filmed a few smoke bomb sequences throughout the wedding days. My favorite was the smoke bomb photography session we did in between the eucalyptus trees before the reception – it was simply stunning. The lighting was perfect and the wind direction helped. But I can’t forget the Baraat with smoke bombs – I love the shots that I was able to capture there too (the instagram video starts with these shots). 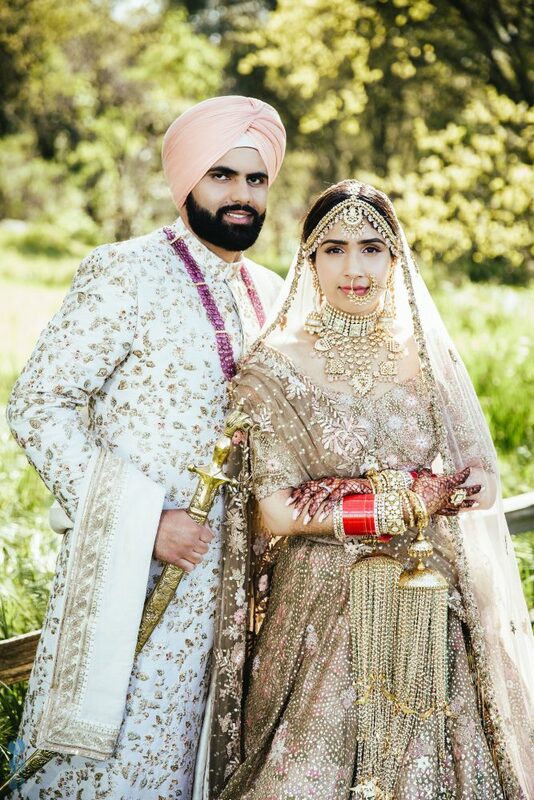 A little bit about this Indian Sikh Wedding. We started filming the first wedding event back in August of 2018, the Groom’s Shagun. However, most of the pre-wedding events, like Sangeet and Henna, were films the last week before the wedding. It was a very busy week for us traveling and capturing both sides of the family, but at the end, we have the perfect footage to tell this couples’ and their families wedding story. Last but not least, the wedding couple, Harman and Navroop, were simply enjoyable to work with. Both were super sweet to us as well and treated us like family. Not only were they beautiful and natural in front of the cameras, they completely trusted us to capture a day that they will cherish for the rest of their life together. 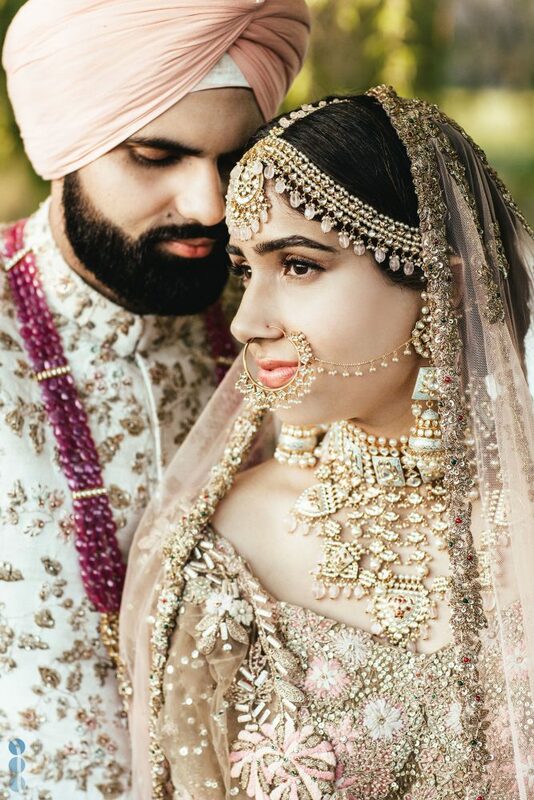 We, as a Sacramento Wedding Cinematography team, were honored to be part of their Indian wedding at the Elk Grove Sikh Temple. Pulling such an immense project requires a truly professional wedding cinematography team and with the help of We Do Designs team and the staff at the Sunrise Banquet hall, we pulled off amazing footage without a glitch! 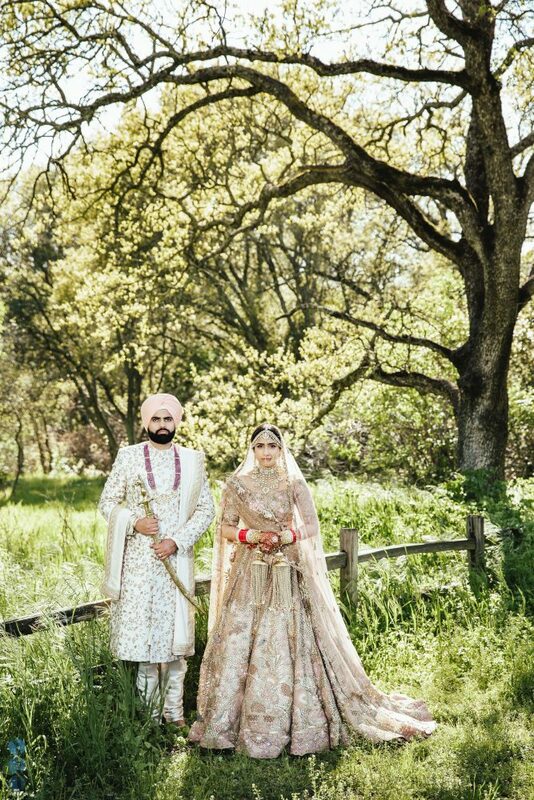 Are you looking for a Sacramento Indian Wedding Cinematography Team? We are a Sacramento Indian Wedding Cinematography company that creates Cinematic Films and Same Day Edits.